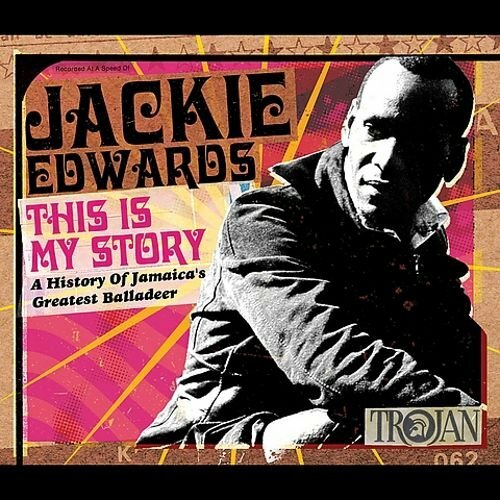 Jackie Edwards' musical heroes were always smooth vocal stylists like Nat King Cole and Johnny Ace, and throughout his career, even as Jamaican music moved rapidly through its ska, rocksteady, roots reggae, and various dancehall phases, Edwards never strayed far from his love of ballads. Blessed with a honeyed, natural tenor and a talent for writing catchy solid songs that translated well outside the Jamaican milieu (he penned the mid-'60s hits "Keep On Running" and "Somebody Help Me" for the the Spencer Davis Group, for instance), Edwards leaned more toward an international pop approach than his increasingly militant and dreadlocked island contemporaries, and he never completely fell in love with the one-drop rhythm, which goes a long way toward explaining why he is seldom given much play in the various surveys of Jamaican musical history. This two-disc, 51-track retrospective spans essentially Edwards' entire recording career -- which ran from 1959 to the mid-'80s -- and what is immediately apparent is how consistent he was, both as a singer and as a writer. Disc one covers up to about 1974, and includes his first real hit (when he was still known as Wilfred Edwards), the doo wop-like "Tell Me Darling," which moves along on an impossibly infectious and percolating guitar riff (Edwards revisits the song in reggae style on disc two). Also included here are two of his duets with Millie Small (of "My Boy Lollipop" fame), a rare turn at topical material, "Johnny Gunman," complete with gunshot and squealing tire sound effects, and the wonderfully ambivalent "I Do Love You," which contains a wry, cruel chorus that states "I love you, sorta, right now." Disc two consists of productions done with Bunny Lee (Edwards was always very hands-on in the control room no matter what producer he worked with), and dates from the mid-'70s to the early '80s. Highlights of the Lee period include Edwards' own (and drastically different) version of"Keep On Running," a cover of Dennis Brown's "So Jah Say," and an efficient, tightly wound rendition of "Invasion" (probably best known in the version by Burning Spear). The anthology closes out with Edwards returning to his beloved ballads, covering Nat King Cole's "When I Fall in Love," Johnny Ace's "Pledging My Love," and the Cliques' "Girl of My Dreams." This is the collection to beat, and it underlines what a steady and focused performer Edwards was, a man who was arguably Jamaica's greatest (he was certainly the most committed) balladeer.